Our ski professional staff has created a detailed guide to help users to choose the most appropriate products both for different techniques and style practiced. Our guide has been especially made to inform learner skier so, before deepening technical aspects we will introduce more general topics. All topics will help you to choose what's best for you so we suggest you to read all sections, before choosing your favorite ski. We are pretty much sure you will find useful suggestions. 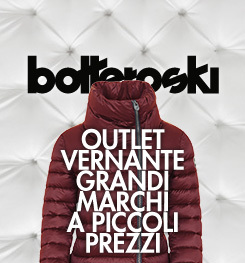 After reading this guide, check out all Bottero Ski collection! Performances and how you can use ski depend on the material they are made off. The noblest material is given by nature, the wood. The wooden soul of the ski gives it elasticity but also rigidity and resistance to twisting. Wood and highly technological materials such as Titanal, carbon or glass fiber contribute to create a rigid ski, more suitable for technical skiers in search of very good performance. A softer heart will let you have more ductile and polyvalent ski, ideal for a less challenging skiing. Finally, instead of a wooden heart, the use of polyurethane foams and synthetic products will make your ski much easier and softer, ideal for learners or in evolution skier. Thanks to this kind of ski you will technically improve faster, especially when curving and changing edges. After thoroughly explaining the importance of construction materials we are going to analyse which elements determine not only the performance level of a ski but it features as well, therefore the best use you can make out of it. When we say side cuts we refer to to the shape and the bow drawn on the side part of the ski from the tip to the tail. Wider is the bow, narrower will the curving radius. Therefore you will have very dynamic skis, reactive when changing direction and edge. Agile and quick to make curves repeatedly. Commonly called sky Race Carve SL. A less wide bow corresponds with a longer curve radius. With this kind of side cuts you will have very stable skis with medium-long on-piste radius even high speeding. So called category Race Carve Gs. Side cut is not the only element that help you understand the best use of your ski. Also geometries of construction, technologies as Rocker, the width of the ski especially in the central part determine skis features and best use. For example, a very width ski gives an excellent flotation on powder, letting the skier challenge off-piste. Differences between types of skis are less, and in the course of time have become details, so you will find many skis fitting into more categories. All-mountain skis are suitable for any kind of ground. Specifically created to front any kind of situation: from powder to heavy snow, from icy conditions on and off-piste . It's the perfect choice if you need a pair of skis suitable for any occasion. You can distinguish an All-mountain model by the width in the centre of the ski, definitely wider than the Race carve (75-90mm), available in a large range of shapes and width. The best way to choose the suitable model for you is to understand what kind of ground and skiing you prefer, what you are really looking for. In order to help you make a wise choice first reflect on what type of range of skiing you want to improve. It can occur that the correct choice of the new pair of skis improves ability, and maybe you will be able to front slopes that were beyond your capabilities before. For powder lovers who adore to clamber isolated peaks, powder skis could be a life line. They offer a superior width (95-125 millimetres or more in the centre), and they usually have a Rocker shape, a very curved tip and enough soft bending. In this category you will also find unique skis in shape and outline, the so called reverse-sidecut, in which tip and tail are the widest part of the ski. The latest technological developments in ski construction have notably improved the resistance and structure in powder skis. This enables the skier to enjoy and make the most of all diverse conditions. The big-mountain skis are designed for high speed skiing in wide spaces. Width is variable: wider for powder-oriented, suitable for Alaska's slopes, narrower suitable for the Alps, our mountains. This ski category is stronger and heavier, marked out with a highlighted Rocker in the tip rather than in the tail. Thanks to highly technological material such as the “titanal” and to softer and more elastic woods like poplar, you can purchase a pair of versatile and polyvalent Big Mountain ski, so you you can have fun using them on-piste even in hard snow conditions. Those who love skiing “on the edge” scribing perfect curves will find in carving skis the perfect ride. Depending on the type of side cut the carving skis will offer you a perfect ride on any arch curves and in any piste condition. A highlighted side cut is suitable for narrower curves, favours speed and reactivity when changing edge. A less highlighted side cut guarantees a medium-long radius giving perfect stability and control. Ideal on-piste and on hard snow. The learner-intremediate carving skis are designed to have an easy and fun learning of the curves ride. Park & Pipe ski, also called Freestyle, are for skiers of jumps, rails and figures of all kinds are. Traditionally these skis have a narrow waist with full profiles Camber, but this category is also incorporating many models and combinations of Rocker shapes. Usually you will find ski models with double tips, but the specifications are often related to the environment of the park that may require a more dense, more durable and borders "butter zones". Alpine Touring ski or off-piste, are designed to optimize both ascent and descent. Generally speaking they are lighter in comparison to their width and they often have attachment for seals leather. Width and weight are variable: wider and havier in winter season with heavy snow, thinner and lighter are suitable for spring/summer seasons and for long distance. These skis have been specifically designed to optimize women's performances as their body differs from a man with same height: as barycentre is lower and body mass is less heavy, women make less lever and pressure on the skis. Woman-Specific skis are lighter, softer and shorter, realized using thin and soft nucleus and less laminated layer so that less power is needed to move and turn. To customize performances, ski bindings could be assembled a little bit forward (a centimetre or a little bit more). 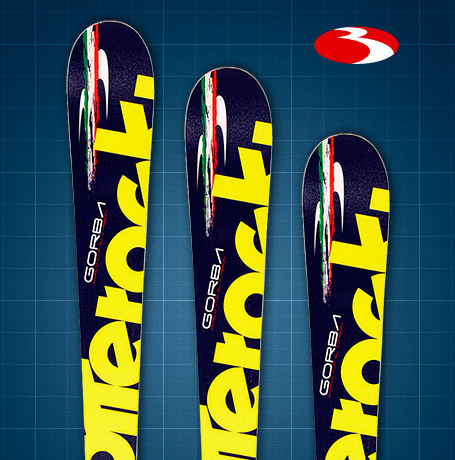 On the market are also available many “hard-charging” skis designed specifically for women with eye-catching graphics. Generally, there are no obstacles for women to use male skis and vice versa. Which is the right length for my skis? There isn't a formula that identifies the perfect ski for every skier. Height and weight are a starting point, but many other factors need to be considered: ski category, type of snow, ground and personal preferences...just to say a phew. A good role is to choose a ski which measures in between your total height and your chin. Shorter ski: easier to ride the curves, less stable than longer skis. Carving skis: less wider and with a smaller turning radius, it can be chosen shorter than the all-mountain or freeride which need a bigger and wider turning radius. Rocker ski: easier to turn the curves, best to choose a little bit longer in comparison to the camber model. Longer skis: generally suitable for advanced and expert skier. for those who love carving ski not only camber or rocker. for those who love a very rocker ski. Ski manufacturers have different datum point for measuring the length of the ski; a brand dimensions could be longer or shorter compared to other brand dimensions. 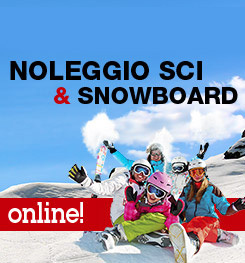 Technology made accessible to learners too a wide range of skis, making less relevant the technical level of the skier. However there are still some features that diversify skis depending on ability. The ideal skis for this level should help overcome some technical errors and assist the turning of the curves. Another help could come with outlined rocker both in the anterior and rear parts. The ideal ski for this level must be flexible and adaptable to any condition and style. The profile could be exclusively camber or rocker or both combined profiles. more challenging when going slower.. The wider range of this category make necessary choosing the most suitable ski depending on your own style ((carving, park, all-mountain, powder…) and configuration (rocker, race....). It's not easy to briefly explain what make a pair of skis the right one. Especially own evaluation of style and the research of sensation are personal key factors. To optimize your choice it could be useful to consider three technical factors that are essential for the ski morphology: width, curve range and profile. The ski width varies in the different points of the ski itself so that a three measures expression represents the width of the ski in the tip, in the centre and in the tail ( es.115/90/107mm). These differences define the the shape of the ski, or, technically speaking, the side cuts, which influence the turning speed. Moreover, width will make you float on powder. reducing the width difference between the centre and the ends the curve range increases together with the meters necessary to complete the curve ride. When skiing, the skis performances vary depending on the skier and on the ground sollicitations, that's how skis are designed for. Thanks to new construction technique it is possible to create side cuts with variable radius even on a unique blade. Beyond side cuts, skis performances are defined by their profile. The three fundamental profile are Camber, Rocker, Flat. There are also hybrid profiles, however, does a best profile exists? The answer is no. That's because features become advantages only in reaction to the skier preferences; as a matter of fact, rocker skis are suggested for learners, however are suitable also for advanced skier who love a loose and relaxed ride or use them depending on snow conditions. Camber: endurance and stability on hard snow and hight speed. Rocker: easy to ride and floating in powder. Flat: used in combination with others profile for better performances in specific conditions. Hybrid categories: combine the best features of the fundamental categories. It also exists more commercial names for profiles, such as Mustache, reCurved, Jib Rocker…fundamentally they could be lead back to the listed ones. This is the most traditional profile, it is designed with a high relief part in the centre in respect to the ends, you can notice it when the ski is placed on the ground. Featured by: weight of the skier more uniform on all the length of the ski; more pressure on the ends and more grab of the blades; excellent endurance on-piste and on hard snow; precise high speed riding. The camber profile needs more precision when curving, it's the preferred choice by athletes and in park high level skier. It is designed with a lowered relief part in the centre in respect to the ends, you can notice it when the ski is placed on the ground. For this reason it is also called reverse-camber. Featured by: easy access to curves without giving you the sensation of stamping your feet; better floating on powder or fluffy snow; wider ski are easier to ride. Rocker skis have increased the spred of wider ski, making them easier to ride for different kind of skier. It is preferibly to choose this kind of profile for off-piste or free-style use. This type of profile combines the rocker profile for the front end and the camber one for the remaining parts. In this way the starting point of the blade moves back in respect to the tip, making easier the access to curves, without sacrificing too much the endurance. Because of an asymmetric profile, riding these skis become less easy, however it will be perfect for an all-mountain / big-mountain as it combines floating in powder and grip on hard snow. A versatile and fun combination, suitable both for learners and advanced in park skier who want to go off-piste from time to time. The camber part gives a good grip and stability on hard snow and the rocker one gives floating and less effort when accessing curves on powder. Suggested for those who use an only pair of skis, especially because manufacturer can get out from this combination an illimitate number of typology with different applications. Another variation of the Rocker profile with the purpose to give more grip on hard snow on respect to the rocker pure profile, maintaining ease when riding the curves together with floating. Performances are in between a rocker ski and a combined rocker/camber/rocker.